Get ready to meet Dewey, Inspector Dewey. Mostly our life is peaceful. But one night it wasn’t. That was the night the bad guy showed up on our block. Of course, I knew exactly how to outsmart the outlaw, but miserable mullet would Anna and the police understand my instructions? I love children’s books, I love the images, the flow and story. Inspector Dewey is no exception. From the cover alone, you can tell that this will be a book to treasure. Our favourite reading time is just before bed time, snuggled up on the couch or under the covers in bed. 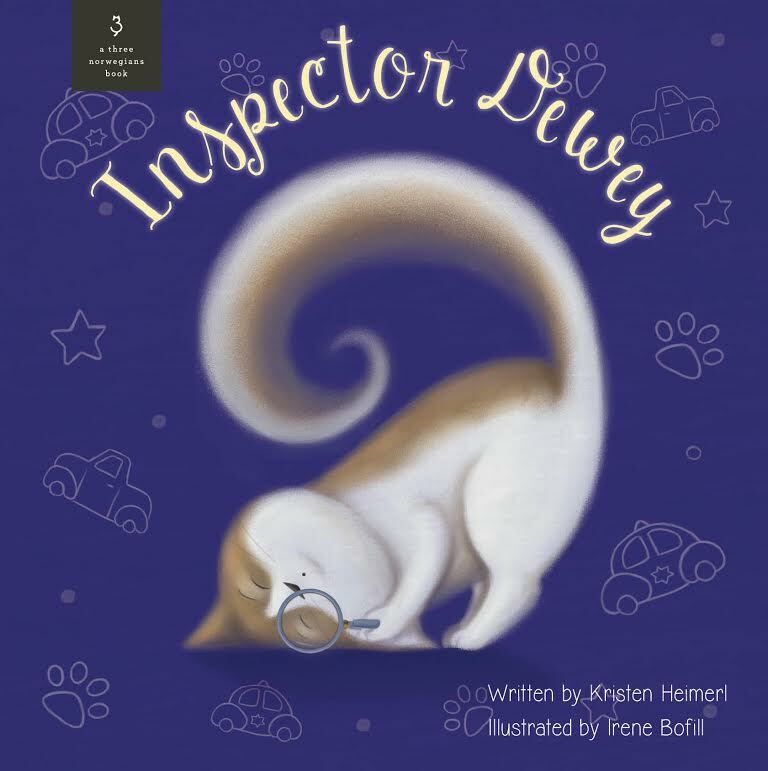 Inspector Dewey has illustrations that are warm and inviting and perfect for bedtime reading. The illustrations were adorable and melt your heart. Those faces on them – too cute! The story itself flows very nicely and is a heart warming story of how three little cats and their human, Anna, save the day and town. The cats are full of love, daring and adventure. which completes this wonderful story. This reminds every little reader, that regardless of size we can do and accomplish anything we put our minds to. You can purchase a copy of the book on Amazon and Barnes & Noble. This entry was posted in book review, giveaway, review, reviews. I would love to win this for my little cousins. It looks adorable! I want to win because I enjoy reading on my spare time, I also love shopping on amazon! Thanks for the chance to win!